Observing the behavior and interaction of your team will help you to improve team performance. In today’s economic climate no one can afford to lose productivity or competitiveness and responding to early warnings of reductions in performance is a key management skill. Teams are made up of human beings with feelings, emotions, strengths, and weaknesses. and understanding the different factors that contribute to your team’s level of satisfaction is a significant part of your management role. In many instances you will need to focus on minimizing their dissatisfaction and recognize that this is a continual process. This is because what was satisfying yesterday is now seen as part of the ‘package’ so no longer has a positive influence. There has been a lot of academic study into improving team performance and some of this work is directly applicable to the types of team that you will find yourself responsible for. These are: Herzberg’s Hygiene Theory, Hackman’s work on leading teams, and the Six Silent Barriers of Beer et al. An understanding of this research will help you to understand why it is that teams suffer occasional performance problems and what you can do about it. Many aspects referred to by Herzberg, Hackman, and Beer to improve satisfaction at work are not things that you as a manager have direct control over. You have to work within existing organizational policy with regard to working conditions and pay scales. You need to be constantly monitoring and observing for signs of reduced productivity amongst your team. Assessing how well your team’s performance compares to other teams in your organization is also key. If you notice a reduction in performance, understanding why this has occurred and addressing it is vital. The most common reasons teams or individuals perform poorly are shown in the diagram below. If one of your team keep on asking exactly what they should be doing, by when, and how they should actually perform the task then this indicates that their responsibilities have not been specified clearly enough. It may also imply that they need more feedback from you so that they understand how well you want them to do the job. To learn more about delegation skills download are free eBook on this topic. Many jobs can be expanded to fit the time available, and you should regularly review the team’s work to prevent this from happening. It is quite common to see team members spending a lot of time ‘perfecting’ things that don’t really need it rather than doing an adequate job and then moving on to another task. One of your members, or the team itself, may be having problems because they have been assigned a task that they are not skilled or knowledgeable enough to undertake. To prevent this situation arising, you should have an appreciation of each team member’s capabilities. This will enable you to assess any training and coaching requirements. But in the end you need to make a judgment on how well their skills match the task requirements. You should also take an active role in the selection and induction of new members to protect and enhance the skills of your team. This inability to perform the task may also be due to a lack of resources, whether it be in terms of people, materials, or funds. It is your role to ensure that higher levels of management are made aware of the skill level of your team, manage their expectations of what tasks your team can accomplish, and feed back when constraints exist. Your team may find itself performing a new role or task following a reorganization or merger. 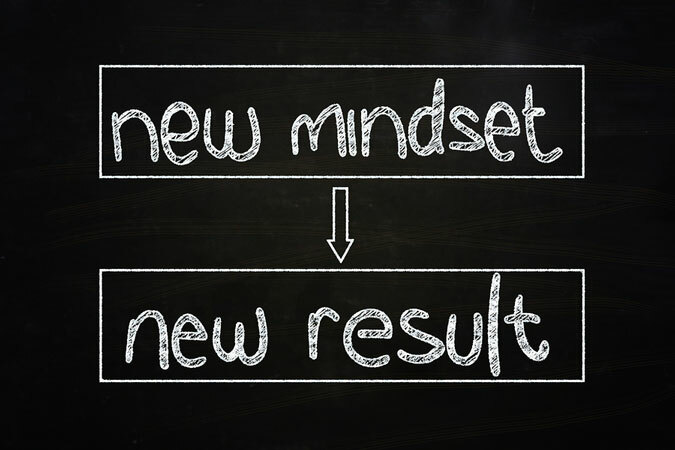 This may result in a lower level of performance as the change causes the team to lose confidence in their abilities to handle the new tasks and processes. Sometimes as a manager you will notice that an individual, despite having the right qualifications, just doesn’t seem to perform as well as you expected. This can be because they don’t possess the required behavioral skills, or they lack the interest to adjust and learn the new skills that are necessary for their role. They begin to feel unappreciated, and they may even feel ostracized by the rest of the team. As a consequence their performance declines, and the situation deteriorates because the rest of the team resent carrying an under-performer. You could use our free 360 degree feedback template to assess individuals performance and perceptions within the team. 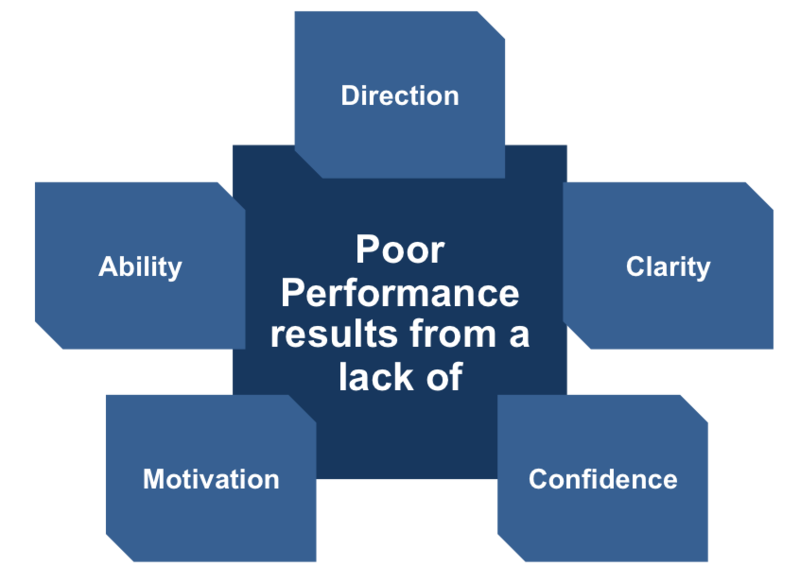 This is probably one of the most common reasons for poor performance. You need to make sure that the goal and task descriptions you provide are as clear as possible. Our free eBook will help you enhance these skills when setting goals. If your own goals are poorly defined it will not help the performance of your team. This could be due to one of the ‘silent barriers’ described by Beer and his team of researchers. Often this results from senior management having hidden agendas, which undermine performance and bring about a culture of mistrust. Some of your team may just not care about doing a good job, and they may even avoid working altogether. This lack of motivation can have a variety of causes, including personal problems, lack of career development opportunities, and increased pressure because of reduced resources. Being aware of what signs the signs of dissatisfaction and poor performance will help you to take appropriate action to minimize its effects and take positive action to rectify such situations. Understanding the different factors that contribute to your team’s level of satisfaction is a significant part of your management role. You will need to understand the nature of past interactions outside of the group, both within the organization and with external parties. By investigating the history of your team you can discover how successful previous managers have been in establishing incentives to motivate the team and how well each member’s abilities match their role. This information will help you to come up with a development plan for each team member that enables him or her to work on their strengths.